In his latest and last pre-Brexit budget, the Chancellor Philip Hammond has declared an ending of austerity and has appeared to open up the public purse and do his best to spread some fiscal happiness. The headline view of the budget suggests that most people will be paying a little less tax from April onwards, with some of the higher earners seeing that cancelled out by a rise in national insurance. On the whole this should mean that you’d find the Chancellor has left an extra £155 a year in your pocket, if you earn between £12,500 and £50,000 – with an extra £566 for those earning between £50,000 and £100,000. From April 2019 the personal income tax allowance will increase to £12,500, with the higher rate threshold climbing to £50,000. Any changes to income tax rates and tax bands in Scotland will be announced by the Scottish Government in their budget on 12 December. Once again the Chancellor is raising the pensions lifetime allowance, with an increase to £1,055,000 from April 2019. There are no changes to the pension annual allowance, with the standard rate remaining at £40,000 and the money purchase annual allowance (MPAA) staying at £4,000, (which applies where a drawdown pension income has been taken). There are also no changes to the high-income annual allowance taper rules. Annual ISA limits remain at £20,000 per person, with the Junior ISA limit being raised to £4,368. There will be an increase of £300 from £11,700 to £12,000 on the annual exemption for Capital Gains Tax, effective from April 2019. The nil band rates for inheritance tax will remain at £325,000 until April 2021, with the residence nil rate band increasing from £125,000 to £150,000 from April 2019. Once again, and following a similar announcement in last year’s budget, a consultation into the tax treatment of trusts was announced. This consultation will examine ways to make the taxation of trusts simpler, fairer and more transparent. However, no date has been set for its publication. With that Philip Hammond then introduced a Digital Services Tax, which is estimated to raise £1.5bn over four years. This new Digital Services tax will have an obvious impact on the tech giants, whose revenues are over £500m (such as the FAANG companies). Following the announcement, shares in Google and Amazon dropped 2.3% and 4.5% in mid-afternoon trading. Although the FTSE 100 was up 1.3% to 7,026 points. The Chancellor revealed that the Office for Budget Responsibility has increased its projections for GDP growth for 2019 from 1.3% to 1.6% next year. Despite this, as well as having been up prior to the speech, sterling was down 0.11% at €1.1239 against the euro, while against the US dollar it also dropped 0.19% to $1.2804. Apart from a few corny jokes, Philip Hammond delivered another steady budget in terms of its implications in the world of financial services, with no radical changes to the landscape. That said, the future really depends on what happens with Brexit and that is looking very precarious. The Chancellor has indicated that he would need to revisit the a budget if the UK crashes out of the EU without a deal. Time will tell how that pans out! As always, if you have any questions regarding a specific area of the budget, or your own personal circumstances, then please don’t hesitate to get in touch with us. We will be happy to help. As you may have spotted, I love lists. Especially when they are reasons to seriously think about a financial approach to things you may not have previously considered; and when they make as much sense as this list does! If you are a business owner or interested in commercial property investment, then you need to read on. There are some real opportunities that you may not be aware of which could add a boost to your business and your property investments. One thing you can do with a SIPP is to take advantage of the opportunity it provides for you to buy and invest directly in UK commercial property. This is obviously ideal if you are self-employed and wish to use your SIPP to assist you in buying your business premises. What you may not know however is that the property doesn’t actually have to be linked to the business you own. 2. The Tax Man – he’ll even help you buy the place! Get the Tax Man to chip-in for the purchase of the property. repeat it… “Get the Tax Man to chip-in for the purchase of the property”. That’s because your SIPPS or SSAS pension contributions qualify for tax relief. So they automatically boost your own contributions, help purchase the property and make mortgage repayments too. As you can imagine the system of tax relief is often complex. Put basically the rules hinge upon whether it’s your company, or yourself that’s making the contributions. To try and simplify it here a Personal Pension Contribution of £10,000 would get £2,500 in tax relief – meaning a pension contribution of £12,500 would be made in real terms. 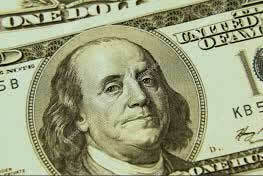 With high rate taxpayers able to then claim an extra 20% with additional rate taxpayers able to claim even more. If it’s a Company Pension Contribution, then all contributing amounts are treated as a business expense when calculating company profits and subsequent Corporation Tax liabilities. Lining your landlord’s pockets with rent, whilst repairing and up-keeping their property is only ever a fabulous deal for your landlord! With rent and repairs often seen as dead money, more and more business owners are seeing the advantages of owning their own premises; and are utilising their SIPPS or SSAS to make this a reality. If your SIPPS or SSAS owns your company’s premises, your company is still a tenant, but it’s now your pension that will be the landlord. Which means that it’s your SIPPS or SSAS that receives all of your rent. Not only does the rent increase your pension, but it’s also tax-free when there is a formal lease in place arranged on current commercial terms. Best of all, it’s treated as a business expense in the company’s accounts, reducing your profits and Corporation Tax bill. Owning your own business premises personally, or through a limited company means that when it comes to a sale, any profits would potentially attract tax. Obviously there would be the normal Capital Gains Tax exemptions if you owned it personally – but there would usually be something to pay. Owning your property through your pension means that no tax is payable when you come to sell the property. As long as you continue to pay yourself the rent on time and any borrowing commitments are met, you are in complete control. We’ve all heard stories about businesses being priced out of their premises by massive rent rises, or simply having the premises sold up from under them. Owning your own premises through your SIPPS or SSAS pension puts you in the decision making seat and provides the certainty that you’ll always know what the plans are for the building you occupy and pay for. Your SIPPS or SSAS pension can borrow up to 50% of its value to help fund the purchase of a property. That can be the one you’re in right now, or an additional property in the future. With SIPPS or SSAS pensions able to borrow from a bank, just like your business would. In fact, pretty much all the banks are now used to lending to SIPPs and SSASs and have specialist departments dealing specifically with these types of loans. If you don’t have enough in your pension to buy your property outright, there are options available to help bridge that gap. Not having the capital right now shouldn’t mean you should rule out purchasing your property. To get an idea of how these work, speak to your financial adviser. If your business has already bought its own premises, then arranging to purchase it from your company via your pension can provide your business with a significant cash injection. As once the transaction is completed any cash held in your pension would transfer to your business and the property would now be owned by your pension, with all of the tax advantages that come with that. Just be aware that this option isn’t for everyone. As any transaction has to be on commercial terms and at market price, determined by an independent valuation. If any profit has been made on the sale, then that could trigger a tax charge. You will also have fees to pay like stamp duty, plus you won’t be able to access the income from the property until you’re at least 55 years old. Owning your business premises personally, outside a pension, means that it will be included in your estate when calculating any Inheritance Tax due on your death. However, assets held in a pension are outside of your estate for Inheritance Tax purposes. There are other tax advantages too, which depend on when you die, but you need to consult your financial adviser for further advice on this. If you have any questions regarding buying a commercial property with your SIPP or SSAS pension, then please contact us at Bridgewater Financial Services where we will be delighted to help guide you through the options available to you. As far back as 1789, Benjamin Franklin wrote a letter to Jean-Baptiste Leroy where he famously said…“in this world nothing can be said to be certain, except death and taxes”. As both of these don’t appear to be going anywhere, even The Office of Tax Simplification (and yes, there really is one) has been conducting a review of how the Inheritance Tax (IHT) process can be improved. No doubt this will take some time to conclude, but as there is a current spotlight on IHT, I thought I’d write something on the top ten areas of confusion, I am often asked to explain. Under the current system, introduced in 2009, the standard nil rate band is set at £325,000. However, when someone dies, their executors can claim the unused nil rate band form any spouse or civil partner who passed away before them. So this could mean that the deceased’s estate can climb to £625,000 before IHT is applied. The amount you are allowed to utilise from former partners will be reduced if gifts were made to the partner, or other people, in the 7 years prior to their death. This in itself can be complex, as copies of original wills and grants of probate will be required to determine the gifts made, when claiming the allowance of a former partner. As things currently stand, there is an extra £125,000 (rising to £175,000 by 2020/21) nil rate band available when the family home passes to direct descendants. However if you don’t have children or grandchildren, then you cannot take advantage of this. Estates valued over £2 million can also lose all or part of this allowance. If you have downsized, or sold your home to pay for residential care, or moved in with relatives, then you can still benefit from RNRB, despite the fact that there isn’t a physical property that is passing to your direct descendants. Just watch out for the complex adjustment calculations though, as they can be particularly complicated when a number of beneficiaries are involved, especially when they are not direct descendants. Most of the time any lump sum death benefits from a pension scheme will be IHT free. However, if you are in poor health and you transfer benefits to another scheme, or pay contributions, or place buy-out plans or retirement annuity contracts in trust – then this can result in IHT becoming payable. As long as you are healthy when you make these changes, then the value transferred will be nil. HMRC will also assume someone is in normal health if they survive the above actions by 2 years. Lifetime gifts – who pays the tax? Gift giving can be a successful way to help avoid IHT, however any responsibility for IHT belongs to the gift recipient. So it’s worth reminding ourselves of the different scenarios that can arise. Any gift to a spouse or civil partner is exempt from IHT. Gifts to others are free from IHT as long as the gift giver survives for 7 years after the gift is made. If they pass away before 7 years, then the gift becomes chargeable and is added back into the estate for IHT. Gifts made into trusts are seen as Chargeable Lifetime Transfers (CLT’s) and can be complex and worth chatting to a qualified financial adviser about, especially as they can often lead to uncertainty as to who ultimately has the potential tax liability. If there’s one area that creates questions it’s the way that gifts impact on one another, especially how a gift made up to 14 years ago can still have an effect upon the tax paid on subsequent gifts. As all prior CLT’s will continue to reduce the nil rate band available to chargeable transfers within the 7 years before death. This means that any recipient of a gift 7 years before death may have tax to pay due to another transfer made up to 14 years before the person passed away. Don’t fall into the trap of assuming that taper relief can reduce the value of a gift made within 7 years of a donor’s death, as it can’t. It simply reduces tax payable on the gift, but not the gift itself. If the gift was made between 3 and 7 years before death, then taper relief is available, reducing the tax payable by 20% for each complete year from year 3 onwards. To be effective for IHT, a gift must be just that – a real gift. The donor can’t benefit from the outcome of the gift. For example if the donor continues to benefit from the gift of a property, then it will be classed as part of their estate. This means that you can’t give away your family home and continue to live there, unless you pay the full market rent to stay, or only part of the property is gifted and the co-owners share the running costs. Regular gifts made out of surplus income are immediately exempt from IHT. But what counts as income isn’t the same as taxable income and it’s well worth having a conversation with your financial adviser to fully understand the definition of income and to identify the opportunities available. 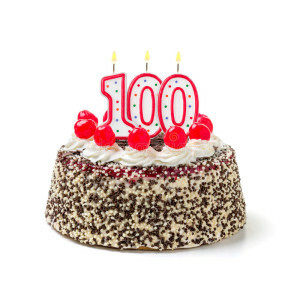 Making any gift to charity in a will, where the gift is more than 10% of the net estate, will reduce the rate of IHT from 40% to 36%, if the will is carefully drafted to ensure the 10% test is met. However, it’s worth noting that the amount given to the charity will always be greater than any tax saved. Business property relief (BPR) on a trading business is available for transfers of unlisted shares and the business property itself, if the property has been owned for 2 years or more prior to the transfer. IHT can be complex – but great advice is always the best place to start. I hope that I’ve shed some light into the complex workings of Inheritance Tax Planning. With the on-going focus upon the various aspects of IHT currently being undertaken by the Government, it may be worth consulting with your financial adviser to ensure that your IHT plans are up-to-date and conform with changes in legislation. As always, here at Bridgewater Financial Services Ltd, we would be happy to answer any questions you may have, so please don’t hesitate to get in touch. New Guidelines on Pension Transfers – and how to spot a great adviser! Your pension is a vital part of your financial future, especially if you are considering transferring from a defined benefit to defined contribution scheme. It’s fair to say that, as Defined Benefit (DB) pensions and other safeguarded benefits generally provide a guaranteed pension income, most consumers will be well advised to stay put. But with the ever-changing pensions environment, bought about through the introduction of the pension freedoms, that provide more options to access you pension savings, there is an growing demand to access pension savings. As a result of this desire to access pensions, earlier this month the Financial Conduct Authority (FCA) issued new rules and guides regarding how advice should be provided to you on pension transfers. These are designed to make sure that advisers fully consider the client’s circumstances and properly consider the various options, where clients may be considering giving-up safeguarded benefits. Although these guidelines are aimed at firms advising on pension transfers and those advisers acting as pension transfer specialists, I always feel that clients should know just what great advisers are aiming to achieve. As it helps you distinguish between a good adviser and a great adviser. So what does great advice look like? Apart from the obvious increase in the rigor around qualifications needs by advisers to provide advice in the pensions transfer marketplace, the FCA has also provided best practice guidelines for providing advice. Quite rightly the FCA maintain that any adviser should start from the assumption that any form of pension transfer will be unsuitable for their client. This starting point has come from the high proportions of unsuitable advice the FCA have seen in supervisory work. This assumption that a transfer is unsuitable is actually a smart position to take, as it means that the adviser then has to demonstrate why a pension transfer is the right thing for their client. The FCA go on to highlight a need for better consideration regarding how pension transfers should be paid for by clients. their client’s attitude to managing investments themselves, or to paying for them to be managed in a flexible benefit scheme. All I ever aim for in my blogs is to share knowledge with you, give you the heads up on important changes coming your way. If you are considering a pension transfer, then there is nothing more important on the immediate and predictable horizon than these changes. They are being introduced right now to protect you and your investments and by reading through the proposed changes I hope that it has given you a greater understanding of pension transfers, as well as better enabling you to make the right decisions regarding your own circumstances. Reading this and acting accordingly will save you money in the coming year! That’s because, in just a few months (April 2018) the tax-free dividend allowance is going to be reduced from £5,000 to £2,000. This will reduce any tax-free sums investors receive in dividends by over half. Those hit hardest will be any small business owner, who pays themselves via a dividend, as well as investors who are dependent upon income from shares or funds; especially those who are now retired. However, there are things you can do that might help save you from ‘the grab’. How will the tax grab work? From April this year basic rate taxpayers with dividends of £5,000 will have to pay an extra £225, higher rate taxpayers an extra £975 and additional rate taxpayers an extra £1,143 in extra income tax. The numbers speak for themselves and we would advise clients to start exploring the ways they can mitigate the impact of these changes. Two names are always better than one when it comes to avoiding any tax grab. By switching investments into your and your spouse’s name you may help prevent paying excess tax. Take a retired couple with a £100,000 investment in a UK equity income collective fund (held in one name), who receive £4,000 pa income distributions. The April 2018 changes would mean that an additional tax of £150 to £762 would be due (depending upon tax status). If the fund was switched to joint names, this could help avoid any increase in tax paid, as both spouse’s tax-allowance is now utilised. Equity investments held via ISAs, Pensions or VCTs are exempt from dividend taxation. Meaning that a couple investing £40,000 in a UK equity income collective investment fund in a stocks and shares ISA this tax year (at a distribution yield of 4%) will receive £1,600 pa tax-free. That’s a saving of £120 and £610 each year. Plus they can invest into their ISA each year from then on, which further increases the tax saving. It doesn’t have to be a 50:50 split, as clients need only hold specific proportions of investment in order to utilise any dividend allowance and take advantage of lower marginal dividend tax rates. A couple with a jointly held £200,000 of UK shares and collective investment funds would receive £8,000 pa income distributions. Although they might both have their dividend allowance available from 6 April 2018, if one is a HRT and the other a BRT, then they would be wise to split their investment 25:75 in favour of the BRT. That way the dividend tax on anything over their tax allowance only gets taken at 7.5% and not 32.5%. That’s a saving of £500 each year – which is a significant 25% tax difference of £2,000. Rebalancing your investments between those taxed as interest or dividends can be a clever move. If you currently hold a mix of investments, with some taxed as savings income and some as dividends, then you should review your position to ensure that both your personal savings and dividend allowance are being properly utilised, so that you are achieving the full £6,000 pa for each as tax-free income. With tax on savings set higher than dividends, you may wish to consider investments in exempt wrappers. Equally with your personal savings allowance at £1,000 pa (BRT) or £500 (HRT) each, means that a corporate bond collective investment fund with a distribution yield of 4% equates to a £50,000 tax-free investment per BRT couple. Tax deferred investment bonds (onshore) may be an advantageous way of holding UK equity investments. Especially if you are an individual who has fully used your dividend and other allowances, or you are a trustee of a discretionary trust who just doesn’t receive them. As dividend income received by onshore investment bond life funds is free from corporation tax. What that means is the overall tax paid by a UK equity life fund could be significantly lower than the BRT credit given. As always, whenever the government present a new change in the rules, designed to catch the complacent napping, now is the time to wake-up and take action. You may have been under the tax-allowance prior to April 2018, or just wish to make sure that you are taking advantage of all the tax breaks available. Whatever your motivation, a review of your individual position can only ever be a good thing. Now is the time to contact your adviser regarding the changes that are coming. As always, here at Bridgewater Financial Services we are here to help. If you would like one of our dividend taxation experts to look at your tax position, then please get in touch on 0161 637 2191 and arrange a consultation. REMEMBER – April will be here before you know it! Just because the markets change, you shouldn’t follow. Back in December I wrote a blog regarding my Top 10 Investment tips. A blog designed to give you a guide to investing in the stock market and, more importantly, some practical advice on how to swerve some of the more avoidable traps that can lay in wait. However, with the ongoing volatility and distractions in and around the markets, I thought that I might just reiterate one or two important points regarding holding your nerve. I’m sure that when Shakespeare wrote that he didn’t have Bitcoin or Brexit on his mind. However these two modern days B’s seem to be claiming most of the financial headlines at the moment. On one hand Bitcoin seems to be the answer to everyone’s prays. Presented as a get-incredibly-rich-quick scheme that seems like a no-brainer, but you have to ask who’s really making the money now. The simple answer may lay at the feet of those brokers who are trying to drive investment in the commission-rich bubble that is Crypto Currencies. Yes, the history of Bitcoin growth is phenomenal, but as I said previously ‘Past performance is no indicator of future positions’ and you should always ‘Try to avoid bandwagons’. Couple that with the fact that Bitcoin lives in the dark web (the domain of criminals and terrorist) and you have to also ask would you trust any investment made where organized crime lurks in the shadows? Brexit is another big distraction for the markets. Ask yourself if anyone really knows what’s going to happen after Brexit. I’d argue that, given the fact that no one yet knows what the terms of Brexit will be, it’s impossible to know what impact Brexit will have on the markets. We all know that fear helps sell newspapers, which is why the newspapers love stirring-up doubt and fear over the negotiations with the EU and what that will mean to all our futures. Again I remind you of one of my Top 10 Tips “Don’t believe all that you read in the papers”. Plain sailing or stormy waters? Ultimately how bullish you are is a matter for you. But I would advise that changing a winning strategy just because the markets are a little volatile is unwise. Even the most bullish captain would find it hard to justify steering towards a storm, just to see if there is some opportunity to catch some strong winds in the sails. It’s not an option for traversing the seas and certainly it shouldn’t be an option for navigating the markets either. In turbulent times, we batten down the hatches and ride out the storm. It’s exactly the same for the markets, you sit tight and wait for the markets to settle. Again, as I said in my Top 10 Tips “Play the long game and let the markets do the work”. Back in December I finished my Top 10 Tips with this piece of advice: “Stick to your plan – focus on staying on course”. Nothing has changed. You should always focus on what you can control and what your long-term investment strategy is. Stick to what you’re doing and avoid reacting to movements in the market, no matter what Joe Public is saying. If you’re looking for advice, then get it from someone who knows. Speak to your adviser about elements of your investment strategy that might concern you, or ask them about the ‘golden opportunities’ being presented to you. Either way they will be able to share some emotion-free expert insight, based upon long-term investment strategy and researched market knowledge. When it comes to your finances, if you want to know more, please ask. Your adviser is there to help guide you to the many opportunities that present themselves and to steer you away from the pitfalls. If there is anything you’re not sure of, or you wish to discuss an opportunity that you believe the markets present, then speak to a qualified adviser. If you don’t currently have one of your own, then please don’t hesitate to contact Bridgewater Financial Services, as we will be only too pleased to help. Psychology is a wonderful thing and a little application of some of the science that sits behind all the great psychological theories can pay dividends in your financial life too. Allow me to explain. Accordion to scientific studies, 90% of people do not realise I replaced the beginning of this sentence with an instrument. That was just a little jolt to remind you that we are not always completely aware of what’s going on in our own brains, before we get into this light trip around motivation and goal fulfilment. It’s fair to say that Psychology is a vast, complex and interesting area of study, with branches that reach into every possible aspect of the human condition. But what I want to talk to you about in this blog, is the idea of ‘Self-Actualisation’. Abraham Maslow first proposed Self-Actualisation in 1943 when he proposed his motivational theory often depicted as hierarchical levels within a pyramid. 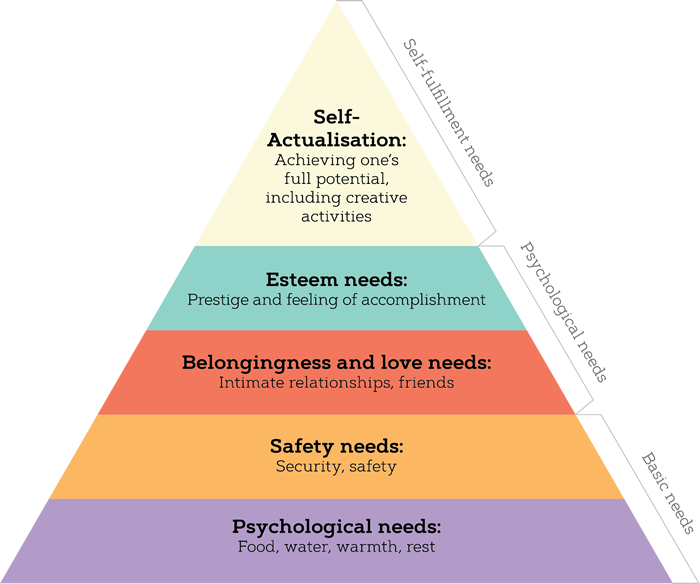 Maslow suggests that we need to move through each individual level from the base up, resolving each one, to eventually reach a state of ‘Self Actualisation’. Put simply, the process involves us overcoming our needs in a hierarchical order. Each need (or motivation) sets drives in play that help us to overcome one stage and move onto the next. Eventually reaching fulfilment. Once you understand the basic principle of Maslow’s motivational theory, you can apply it to all areas of existence. At Bridgewater Financial Services, we apply this science, in conjunction with you, to your financial goals. Where Maslow identifies the fundamentals for survival (hunger, thirst shelter), in financial terms we equate this to budgeting, healthy cash flow and an appraisal of the current financial situation. Maslow points toward protection for life’s unpredictable events (accidents, ill health). Financially this would equate to insurance, protection and provision for loved ones. Here Maslow identifies our striving for acceptance in our intimate relationships with our family and peers. Ultimately being resolves once we feel that we are an important person to those significant others. Financially speaking this is manifest in short and long term savings plans as well as pension provisions and legacy planning. In short, all those things we do for the future benefit of our family and ourselves. According to Maslow, this is what motivates us to achieve high standing compared to our peers, driven along by a need for prestige and status. Financially speaking this is where we focus upon investment portfolios, creating a financial independence and non-reliance upon salary. It’s where we build upon existing wealth and protect against future financial uncertainty. This is the pinnacle of the journey of self. The reaching of one’s full potential. In terms of your financial self, this is complete financial security, which may lead to an onward exploration of philanthropic activities. Maslow clearly lays out his pathway to self-actualisation, which depends upon each stage having been achieved before we can hope to conquer the next. It’s an established psychological principal for the drives and motivations of individuals and has found a place in many applied aspects of psychology. Likewise, the principal of motivation and the striving for self-actualisation have found a place in our company’s unique approach. We call it “The Values Discussion” It’s a unique approach we use with every new client. It helps quickly identify the exact stage you’re at financially and the best way to achieve your goals. As we believe that financial planning is inexorably linked to individual motivations and desires. Just as psychological goals progress in Maslow’s theory, we believe financial goals follow an established order too. Once one set have been achieved and imbedded into your financial status, then a new set of goals present themselves. It’s also vitally important that these are approached in the correct order. Just as the process of self-actualisation shows us a clear and linear path through the stages, there is also a linear path that should be followed in our striving for financial nirvana. Your financial journey is also not something that can be shortcut. When you build a house, you start with the foundations and work your way up to the roof. You can’t hope to put the roof on a structure that hasn’t already been built with strong walls. The same is true concerning your finances. If you would like to learn more about how our unique approach can significantly benefit you, then please get in touch. If however you’re looking for a cure for your fear of spiders, then sorry that’s not us. But we would suggest you Google ‘Arachnophobia’ and ‘systematic desensitisation therapy’ around the topic of operant conditioning.